Have you ever wondered why your parents saved your teeth? As it turns out, it is way more important that just to have them as keepsakes, as saving our children’s teeth could one day save their lives! In modern times, there are even banks that can store these baby teeth for you. Those banks will send you a kit with preserving liquid ready to go. Thus coming in handy if you ever need regenerative tissue regarding organ replacement or surgery in general. Many dentists believe holding onto baby teeth is a great place to begin really working towards ensuring your child has a proper start. Dr. Fulmer of Fulmer Dentistry says that those baby teeth will have greater value in life as they are able to truly work wonders. The cells within baby teeth have been found to work in treating things like Type 1 diabetes and so much more. 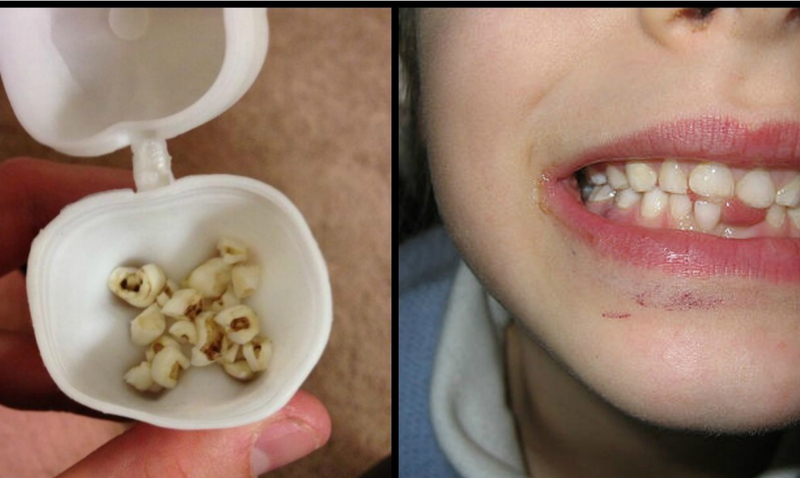 All you need to do is preserve the tooth within 48 hours of it being pulled or falling out and with companies like Store-A-Tooth, you even get a ‘tooth fairy certificate’ for your child as well. Stem cells derived from baby teeth are easily accessible and can provide a minimally invasive, non-controversial way to obtain and store these calls for future use. Having one’s own stem cells available helps patients avoid immune reactions or transplant rejections. It also minimizes the potential for contracting a disease from the cells of other donors. Because the teeth are stored in a cryopreservation vault containing liquid nitrogen, the cells usually remain intact and usable for many years. Properly banked cells can be stored indefinitely. Human cells have been safely stored and used for 50 years. “There is evidence that the younger the patient or the tooth, the more potent it is for stem cell harvesting,” Dr. Fulmer said. So it is important that you work with your dentist to move quickly to get the tooth into storage. One clinical trial study from September of 2018 found that the potential of dental stem cells was quite promising. They noted that these stem cells could be used in a wide range of procedures and that being able to use a person’s own stem cells reduces the chances of immune rejection depending on what they’re getting done. And this is a huge step toward something more. This is also quite handy for parents who were not able to preserve stem cells within their child’s umbilical cord. To learn more about stem cells and baby teeth please check out the video below.